Holistic Birthing is the focus on our primordial power of birthing life. Human race has been existing long before hospitals or modern technology, meaning the strength of a mother has been keeping the race alive without any help or interference. 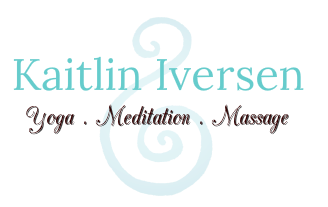 Kaitlin strives to hand back the power to mothers as she educates you on home birthing. ​She strives to keep the harmony between all family members and is there to create your most optimal birth environment. Want to have your community, close or distant family members or friends involved in the birth of your new child? Or do you desire to keep the excitement intimate? Between you and your partner? Kaitlin truly loves hearing about your deepest desires during this special time and making them into reality! Name Ceremony- Come together in an authentic and special way as you choose the name of the baby you are nurturing in the womb. Baby Shower- Let someone help with the organization and details to make your baby shower one to remember. Lullaby's from Around the World - Gather with friends, family and your partner to learn lullaby's from around the world and have the soothing songs bring peace to the baby while in Momma's belly or after birth. Gender Revealing- Make this announcement one that is special and unique to you. Henna for the Belly- When we see the belly, let us see the art and magic that has been created! Nurturing for Momma & Baby- Celebrate Momma and Baby by showing her all the love she is providing for baby during pregnancy months or even after birth. Family Consultant- Let communication lines be open, truthful and respected with everyone involved during this process. Healthful Living Consultant- Shed things in the home, bathroom, kitchen, and in the mind that are not serving you or your family. Let thoughtful and healthy routines nourish your mind, body and soul. Birth Setting- Create your most magical birthing environment at home or in the hospital. Kaitlin asks for your permission to assist in any way possible, needed or wanted during this very vulnerable and precious time. She keeps the highest intentions in mind when dealing with Momma, Dad, partners, siblings, family members, friends, community and doctors. Realizing the importance of peaceful energy & mindful awareness is put to highest priority. Prices vary on the needs, desires and means of each individual family.